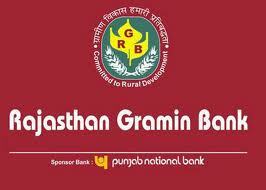 Rajasthan Gramin Bank(RGB) is recruitmenting Officers & Office assistants. Written test: 200 marks within 150 mins.While there are negative marks for each wrong answer, the test marks would be converted to 70. Application fees: Rs.500(others) or Rs.100(SC/ST) should be paid in any branch of Rajasthan gramin bank or Punjab national bank before December 15, 2011.